That's my musical contribution for the evening. Let's get this party started! Eno, this music is terrible. Oh I know. I'm sorry. It was a funny. hey eno, i'm in bells and founders land but stone from San Diego or whatever just recently started being carried by several places here. what should i look for? Eh. Enjoy By is my favorite from them. Slugfest tonight? 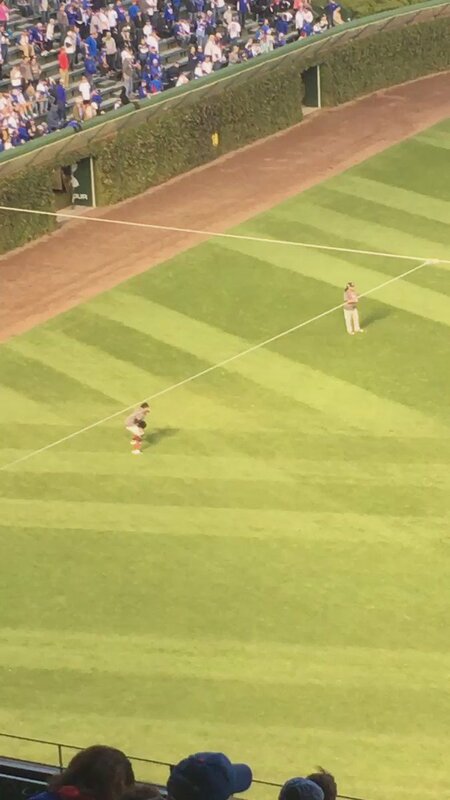 C.Santana in LF? O/U a game time of 3.5 hours? I seriously hope it's under. Been up since 4 AM. I'd cross my fingers for a 1-0 nailbiter but I'm sure that'd just mean more pitching changes. What's the beer choice at first pitch? Why doesn't everybody hate Joe Buck so much? My wife, who doesn't watch baseball at all, is sitting next to me and cursing Joe Buck. I have taught her well! Front door sinker for strike one? Joe Buck said "Typically, when the series shifts, both teams lose their DHs. That's also the case here, but..."
I got a question. Who the hell is Ryan Pollack? I'll get back to you when I know for sure! Anyone else forget how fast Kipnis is? You should see the ankle he's running on. They just showed the ankle on the international stream. Looked like a grapefruit under his skin.